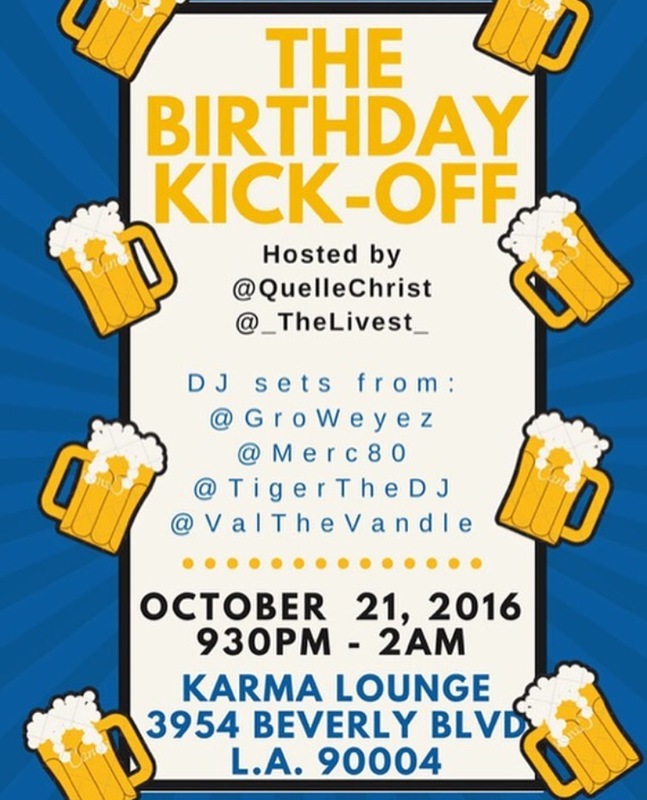 #AroundLA The Birthday Kick Off for @tigerthedj hosted by @QuelleChrist and @_TheLivest_ at @KarmaloungeLA [10.21.16] – Be Fearless. Be Flagrant. #AroundLA tomorrow, Friday October 21st, we are partying for BuffaLowe’s woe DJ Tiger (@tigerthedj)’s birthday.